The recent article Hugh Ross lays down the gauntlet by Dr Jonathan Sarfati has generated a few responses. The main letter is from a ‘progressive creationist’ called Eric Lane Coffee, USA, who gave permission for his full name to be used. It comprises ‘four simple questions’ (indented) which are equally simply answered by Dr Sarfati interspersed as per normal email fashion. Ellipses (…) at the end of one of Mr Coffee’s paragraphs signal that a mid-sentence comment follows, not an omission. But before this, Dr Sarfati has answered the main points of some other correspondents. The tone is offensive and personal. The article is hard-hitting. However, throughout the article, I dealt with Ross’s teachings. The problem in exposing fallacious teaching is that it also undermines the credibility of the source of the teaching, and this is perhaps the ‘personal’ aspect referred to. It might help me to provide better responses in the future if such questioners specified in detail just where they found the article is too personal, or how the fallacious teaching of Ross can be exposed without offending feelings. It is a very difficult thing to expose error without hurting the person’s feelings, because matters of reputation, pride and the like are at stake. And because Dr Ross made such fallacious and Bible-undermining arguments in public, our response must also be public. There is also the issue of needing to love those who are being, and will be, led astray by false teaching. This is never a simple issue, and the ‘whole counsel of God’ needs to be taken into account. People will find, if the proposed public forum with Dr Ross comes off, that there will be no personal animosity or anything unloving exhibited by CMI personnel. The issue never has been personal, and love (as indicated above) is at the forefront. However, if I have been guilty of using spurious appeals to authority, deceiving people, or such, I am open to correction. In fact, I want to be corrected! But again, this would require specific examples rather than vague generalizations. The article in question was checked by other senior people involved in ministry with CMI. Although they saw it as a hard-hitting article, they saw it as necessary because of the continuing abuses of trust exhibited by Hugh Ross, and the numbers of people he is leading astray. One must wonder sometimes whether there is one rule for him and another for us. Why don’t you set up a debate in an appropriate neutral forum such as the Ankerberg program or James Dobson’s program? Well, if such a rare species as a neutral forum can be found, I hope that it’s preserved for posterity. Ankerberg and Dobson are hardly neutral but blatantly pro-Ross. I have demonstrated Ankerberg’s constant partiality in my analysis of the Ross-Hovind debate on his show that was aired in October—it was more of a Ross+Ankerberg tag team against Hovind. 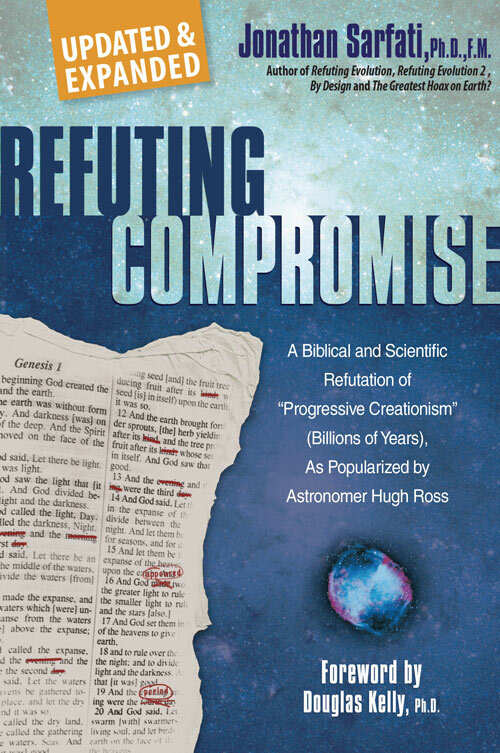 Dobson has also often hosted Ross on his show, but his producers call young-earth creationists "divisive and dogmatic," and thus will not have him on the program. Neither did Ankerberg bother to contact CMI although it is one of the leading creationist organisations in the world. Anyway, I can’t understand the huge attraction of debates. As I pointed out, CMI has frequently dealt with Ross’s public statements, while Ross generally ignores what we say and keeps on misrepresenting our arguments. The propositions taught by both sides are what’s important, not whether they are made face-to-face. Debates tend to emphasize personalities more than the issues. Why not let God deal with him? However, it’s important to remember that not everything reported in the Bible is endorsed by the Bible. Here, Luke was not endorsing this advice, but merely reporting it accurately. The normative passages are those cited above. It should be obvious that Gamaliel’s advice is silly if taken as a general rule. What if people had argued: ‘If Hitler is really killing Jews and invading independent countries as suggested, then God will deal with him’? What about cults like the Mormons and Jehovah’s Witnesses that are thriving? It could also be argued, from the doctrine of the Sovereignty of God, that He is already dealing with Dr Ross through CMI’s exposure of his errors. Interestingly, there is a logical problem in that this complaint is self-refuting — it backfires on the questioner! That is, if I am in error in writing against Ross, then by their own reasoning, shouldn’t such questioners leave me alone and let God deal with me? ;) No, of course not. There is a duty, where a brother in the Lord is apparently erring, to try to correct the error. And this would be particularly the case if you saw the brother leading others into error that leads to apostasy. I’m not sure what you mean. You see, Ross also claims to be a Christian creationist, but his final authority on age-related topics is not the Christian Scriptures but secular ‘science’. Even theistic evolutionists call themselves ‘Christian creationists’ on the grounds that they believe God created by evolution. 1. What is Danny Faulkner’s secular university? It’s on the hyperlink that we provided in the article—the University of South Carolina–Lancaster. And what does he ‘teach’ as the age of the universe there? Does he (a professional astronomer at a secular university) teach that the universe is merely 6,000 years old? ‘I have no constraints on what I teach. Perhaps that is because my superiors and colleagues respect me as a teacher. I hold the rank of full professor, and one cannot get that on this campus without good teaching. In my astronomy class I teach about evolutionary ideas and the alleged great ages of the earth and universe. I also describe problems and objections to these ideas. I offer a few examples of reasons why the solar system and universe may not be as old as generally thought. I do this without preaching to my students or indoctrinating them. Sometimes students ask questions about what I believe and think, and I certainly go through that door when opened. Otherwise, I let the matter drop. I think that I approach this topic in a fair manner with integrity. In other words, I don't wear my creation beliefs on my sleeve, but neither do I totally espouse evolution. When I have been away on a research trip, I have arranged for my students to see my Moody films in my absence. I can’t see how even the most doctrinaire atheistic evolutionist would be offended by my approach, so anyone between me and that extreme should be happy with how I handle these matters. See also Q&A: Young Age Evidence, Astronomy, which contains articles written by Dr Faulkner, and others where he provided considerable helpful input. ‘It is proper to call these new distance measurements trigonometric, because that is what they are. However, I strenuously object to it being termed a “trigonometric parallax” or termed “trigonometric parallax type”. I’ll quote the only definition of parallax from the Second College Edition of the American Heritage Dictionary: “An apparent change in the direction of an object, caused by a change in observational position that provides a new line of sight.” I am confident that all other dictionaries will give a similar definition, as will all astronomy text books. Indeed, Hugh in his Connections article gave the same sort of definition. The VLBI observations did not provide a changing position of observation, but instead produced a baseline on the other end. In other words, the triangle is backwards from what happens with trigonometric parallax. I even object to the word parallax being used in other ways, such as spectroscopic parallax. That is not a parallax either. ‘I ask this gentleman to reread Hugh’s Connections article without any preconception (as much as that is possible) to determine if what is written there could lead a reasonable person to believe that what Hugh was writing about was indeed trigonometric parallax. At the very least Hugh was extremely sloppy when he wrote that. As I documented in my paper The dubious apologetics of Hugh Ross, there are other situations where Hugh obviously did not understand the articles that he had referenced. His handling of MACHOs readily comes to mind as an example of this. I have to entertain the possibility that Hugh rushed to print with his Connections article before he actually read the articles cited. Judging by his later responses on this issue, I’m convinced that Hugh now does indeed understand what the articles are saying, but I have no evidence that he did earlier. We do not claim the Flood laid down all the fossil bearing strata—there was some post-Flood fossilization. Remember, we believe in a global Flood because the Bible teaches it. Jesus Himself taught it in Luke 17:26–27. It is hard to imagine how professing Christians can deny it. See Q&A: Flood. How do footprints get preserved in layer after layer of strata supposedly laid down out of soupy sediments in suspension during a flood? Who said they were soupy? This presupposes that all the sediment that later formed sedimentary rocks were suspended simultaneously. This idea was promoted by the physicist Alan Hayward. Incidentally, Hayward was a Christadelphian so did not accept the deity of Christ, yet Reasons to Believe sells his book and warmly commends ‘Hayward’s sound science and theology’. He makes the unwarranted assumption that all the sediment was evenly mixed in the water throughout the Flood year. Berthault et al. have shown experimentally that when moving water deposits a layer of sediment it becomes isolated from the rest of the water-sediment system. Berthault et al. have also shown that many layers can form at the same time because strata form sideways from flowing water (see Experiments on lamination of sediments and Experiments on stratification of heterogeneous sand mixtures, cf. Nature finally catches up!). Hayward’s experiment is an invalid parallel because there was no component of horizontal fluid (liquid or gas) flow. See Q&A: Geology: ‘How can many fine layers of rock be formed very quickly?’. And the very existence of footprints in successive layers shows that they must have been laid down quicky. There could have been no long ages between strata, otherwise they would have been eroded—how long do you think one of your footprints would last? They must have preserved when the next macro-layer (often comprising many fine laminae) was laid on top, especially with the cementing action of dissolved minerals. In Queensland, Australia, where I live [ed: as at the time of writing, now in the USA], they have recently uncovered fossil footprints, and to illustrate my point, they very soon had to build a protective shed over them because they started eroding so quickly when exposed to the elements. It must also be pointed out that this question perfectly illustrates CMI’s main objection to Dr Ross. Mr Coffee said that a ‘paramount’ issue was a question of ‘science’, when to a Christian, the paramount issue should be what the Word of God says. I commend readers to the recent Feedback response by my colleague, Dr Tas Walker, Framework makes a difference to interpretations of geological evidence. He shows that all these sorts of alleged evidence for long ages actually make far more sense when interpreted in the Biblical framework involving a global Flood. 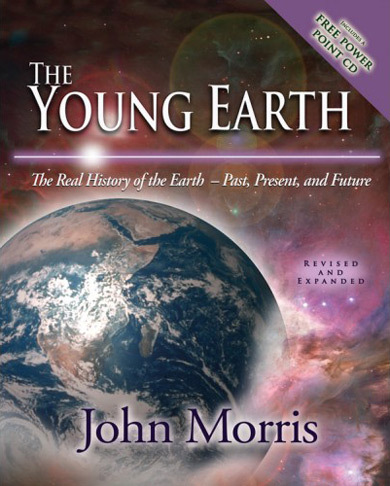 Dr Walker, who is actually a qualified geologist unlike Hayward, refutes a number of Hayward’s old-earth arguments in Geology and the Young Earth. 4. Show me one Biblical verse that says no ANIMAL death before sin! Vegetarianism in both humans and animals before the Fall (Gen. 1:29–30). As I pointed out in my Exposé of Ross’s book: The Genesis Question, Ross accepts that these verses teach human vegetarianism before the Fall, but he is inconsistent in denying the original animal vegetarianism taught in exactly the same words in exactly the same context. The living creatures (Hebrew נֶפֶשׁ חַיָּה nephesh hayyah) rescued on the Ark did not include plants (or invertebrates), meaning there is a qualitative difference between the deaths of the (vertebrate) animals and plant death. The restored paradise will have no bloodshed in the animal kingdom (Isaiah 65:25). Death came through Adam (Gen. 3:17–19, Rom. 5:12). How could you grow a garden with rabbits and insects multiplying rapidly with no predators to keep them in check? The purpose of reproduction was to ‘fill the earth’. We cannot presume to know what God would have done once this purpose had been fulfilled, but it’s likely that the command would have been rescinded. Actually, even in this fallen world, there are mechanisms to slow down reproduction in an overcrowded population. This has been observed in rats, for example. It comes down to what sort of God you believe in. The God who prevented the Israelites’ clothes and sandals from wearing out for 40 years in the wilderness (Deut. 29:5) could certainly have controlled overpopulation problems. I recommend the latest Creation magazine [23(1), December 2000] which has an article on a vegetarian vulture that feeds mainly on palm nuts. Previous issues have contained articles about spiders catching pollen in their webs for food and The lion that wouldn’t eat meat? Or would the rabbit be miraculously immortal and not die? We really can’t imagine what it would be like in a sinless world until we understand something of the nature of God. He could have prevented the pre-Fall rabbit falling and hurting itself—again, please compare Deut. 29:5. We would welcome you (and Ross too), if you accept Scripture as your final authority, and don’t destroy its teaching by re-interpreting it to fit in with fallible human theories. I would encourage you to compare what we and Ross say with the Word of God (Acts 17:10–12).